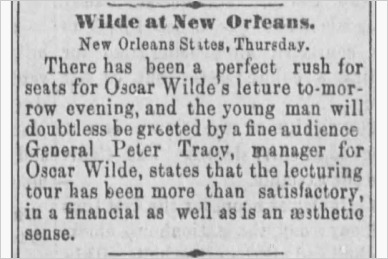 Wilde's first lecture in New Orleans. 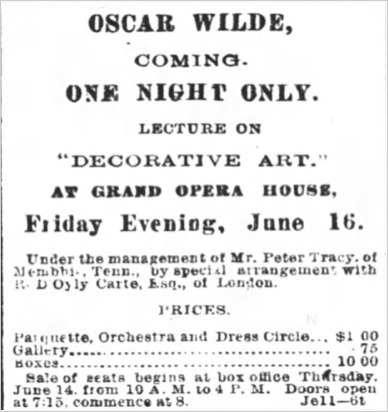 * Built on the site two previous theatres destroyed by fire: The Varieties (1849-54) and The Gaiety (1855-70). 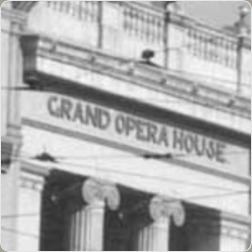 * The second hotel of this name on the site. 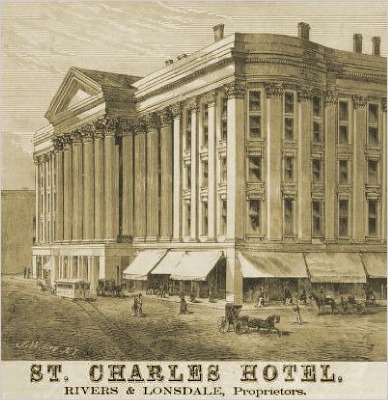 The first St. Charles Hotel designed by James Gallier 1835 and completed in 1837 was a similar Corinthian design but with a dome. 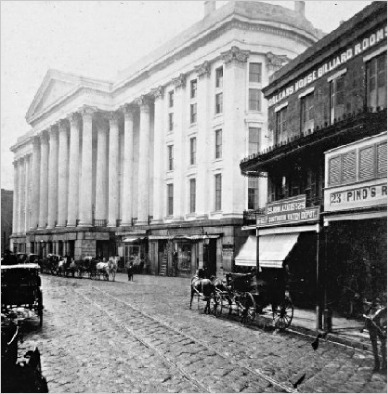 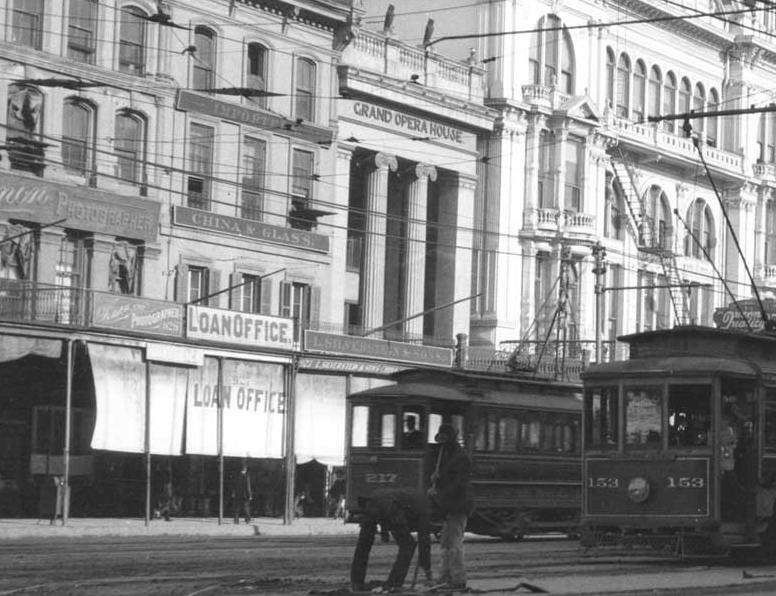 It was destroyed by fire in 1851.The third "New St. Charles" was demolished in 1974. 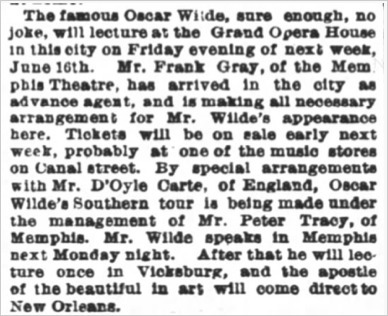 During his stay in New Orleans, Wilde accepted several invitations from commercial clubs and polite society. 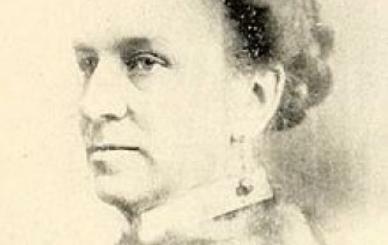 But he also took time out to call upon Mary Ashley Townsend ("Xariffa"), a critically acclaimed poet of the South. 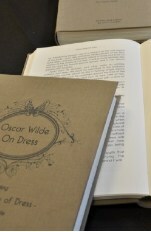 Wilde visited her at her residence and spoke in praise of her work and charming hospitality. 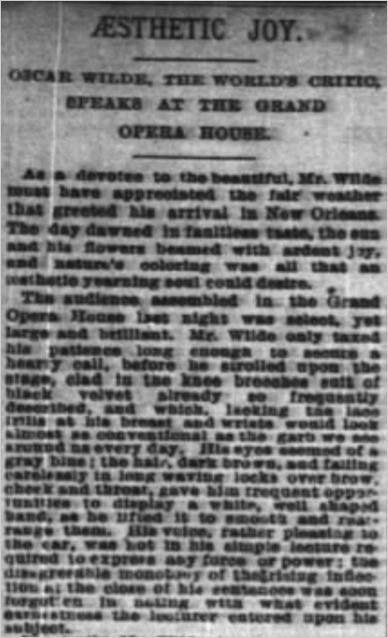 Below is an example of her New Orleans metaphor.